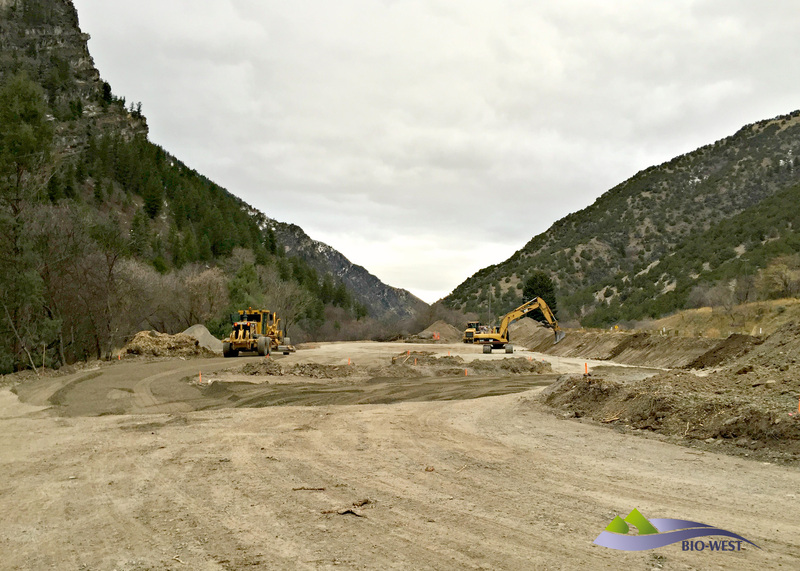 BIO-WEST is working with Logan City and the US Forest Service to design and construct a parking lot for the Second Dam Recreation Area in Logan Canyon, Utah. 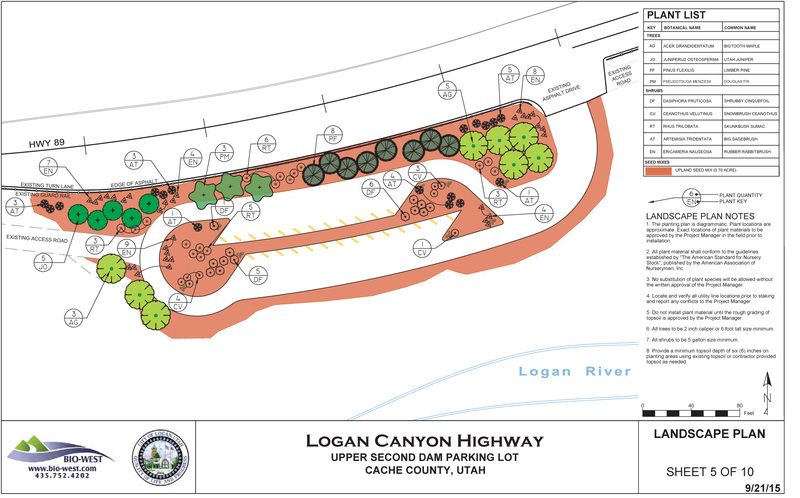 Because the parking lot will be adjacent to the Logan Canyon National Scenic Byway, aesthetic considerations were an important element in BIO-WEST’s design. 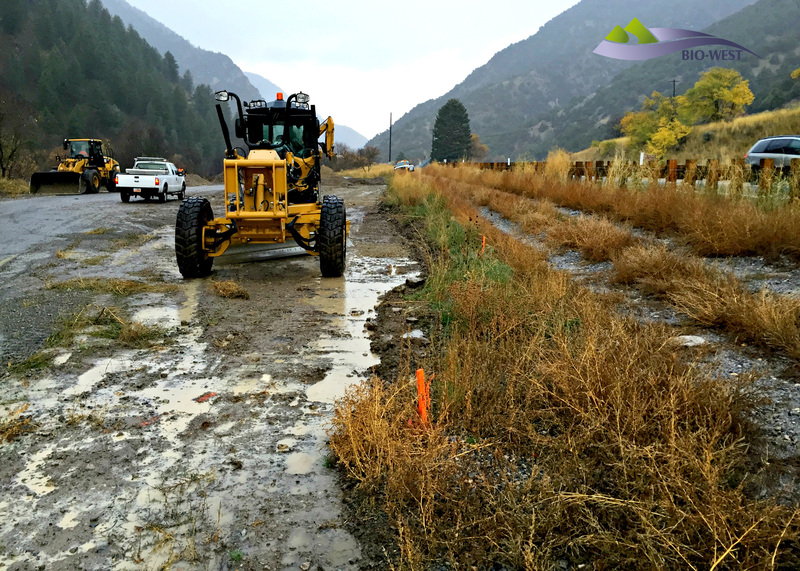 “We are using berms and plants native to Logan Canyon to help screen the parking lot so it will be less visible from the highway and won’t distract visitors from the beauty of the canyon,” said Sandy Davenport, a landscape architect and planner for BIO-WEST. The new parking lot uses existing space to provide a safer and more attractive parking option for visitors to this highly popular recreation area. 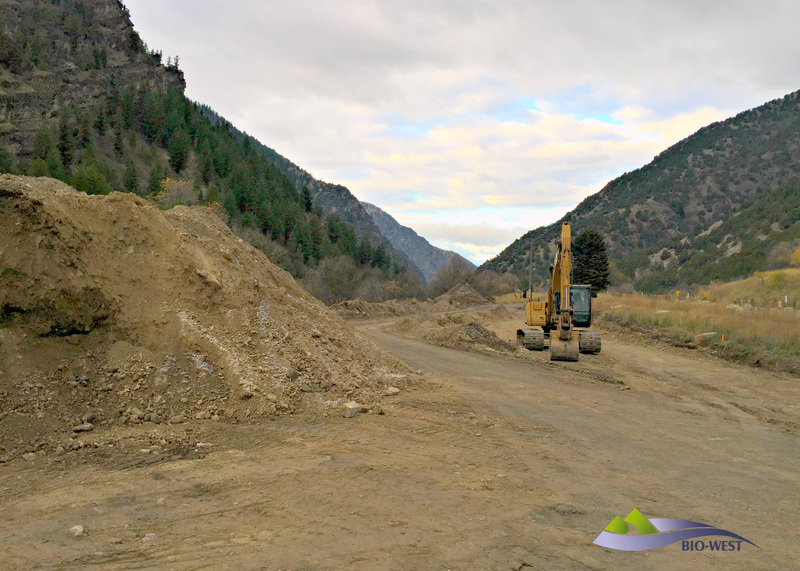 Previously, parking at upper Second Dam was only available on the side of a dirt road. Ms. Davenport indicated that this was a particularly meaningful project for BIO-WEST because Second Dam is located close to BIO-WEST offices, and the firm’s employees often visit the area. 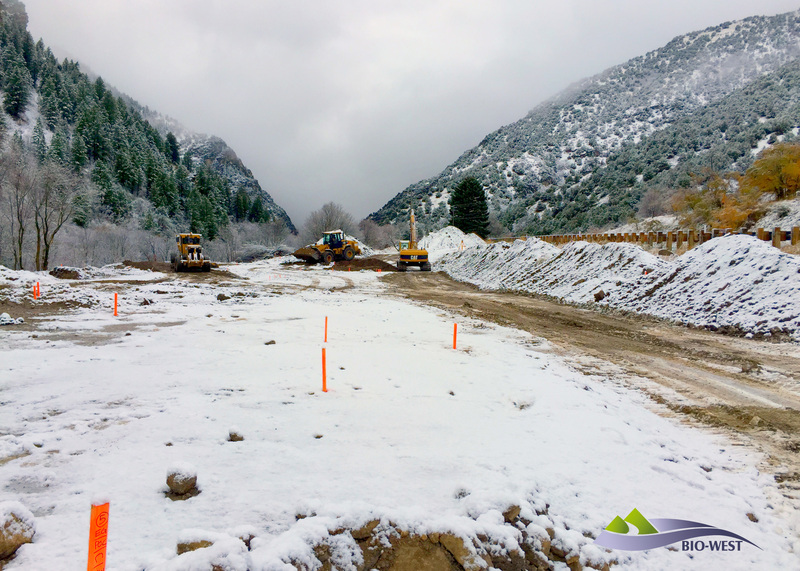 BIO-WEST provided conceptual design and construction document services for earthwork, drainage, landscaping, irrigation, and surfacing, and is now monitoring parking lot construction.